Video: BBC’s “First Men in the Moon” Trailer! Trailer for new BBC adaptation of H.G. Wells’ First Men in the Moon. It airs October 19th on BBC 4. This production stars and was written by Mark Gatiss (“Doctor Who“, “Sherlock“). Looks like a nice bit of autumnal steam punkery. We’re on board! “No Ordinary Family” Scores Solid Ratings For Premiere, Twitter Impressed! ABC’s new drama about a family of superheroes, “No Ordinary Family” scored the highest ratings for a new ABC show this year. It landed a 3.1/9 rating/share (18-49) and an estimated median viewership of 10.5 million. This gave the show a strong 3rd place finish for its time slot. The show also increased in all numbers in its second half-hour. Always a good sign. Get Twitter users take on the new show after the jump. 3D Stars Wars Will Be Done Right! I have been a vocal critic of some of the previous efforts at doing 3D conversions. (But) I think the problems that have been encountered are mostly because of budget and schedule, trying to ram the work though in too short a period of time. Knoll, who is overseeing the conversion, is committed to ensuring that the Star Wars conversions are given the time to be done right. Life Size Enterprise in Minecraft! Here’s a fascinating video of a life size Starship Enterprise made in the consciously retro-looking web game Minecraft. You can download the game and make your own giant objects here. I think THE EVENT is swell, but if 24 and LOST really had a baby it would hate both its parents and regularly engage in torture. Heh. We actually think such good-natured comments could actually help the series. However, the second episode saw a drop in viewership, with a 2.9/7 ratings/share, and estimated viewership of 8.9 million. The second episodes also firmly placed “The Event” in science fiction genre with the reveal of extraterrestrial disclosure as a key to the series plot. Michael J. Fox to Appear in “Teen Wolf” Series? Moviehole has reported that MTV is trying to convince Michael J. 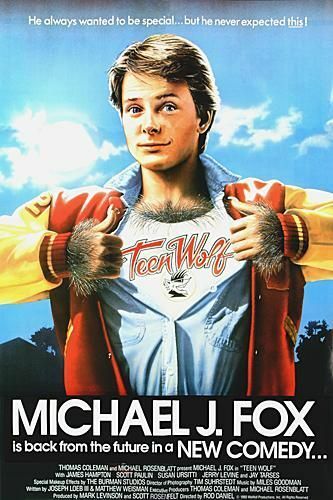 Fox to have a recurring role in their “Teen Wolf” TV series. This is a nice story. But we think MTV is just seeking attention for their “Buffyesque” small screen take on the eighties franchise. Cynical us.